Our venue in Cheetham Hill sits directly behind Victoria train station and the Manchester Arena. We’re based over two floors: a basement venue downstairs, and an open social area / cafe upstairs, which is surround by office space. We offer desk space at an affordable rate to likeminded organisations and individuals to create a place where people want to work as well as meet, organise and enjoy themselves. This is offered in the form of a desk or office membership. We currently have single desks in shared offices, and one full 2-desk office available. Preference will be given to activists, community groups, charities and independent artists/cultural organisations but anyone can apply. The offices themselves are individual lockable rooms that face onto a main communal hub space. You will have your own lockable cupboard and a key to your office. 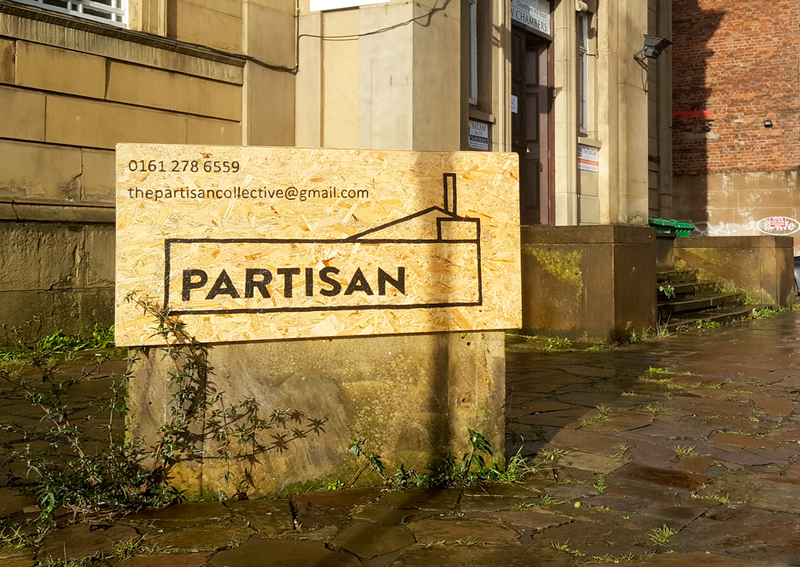 If you’re interested email thepartisancollective@gmail.com and for any other information, or to organise a visit.